Denver Nuggets seek seventh in a row tonight in the Motor City. Charliessports.com produces it for Basketball Betting. NBA Expert Betting Picks are the best in the industry and will continue through the March Madness Finals in April of 2019. We’re always providing BETTOR Friendly cards. Our signature 500* premium ATS Predictions are unreal & I promise you won’t regret purchasing, cash in Daily. 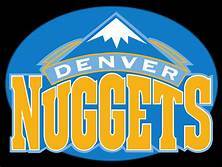 The (37-15) SU, (29-23) ATS Denver Nuggets took down division rivals Minnesota on Saturday. February 2, 2019, as 1 point road FAVORITES ATS. Denver made 13 of 33 three-pointers while getting 22 points from guard Malik Beasley in the victory. The Nuggets were without Gary Harris and Jamal Murray, their status for tonight is uncertain. They’re tied with Golden State for the best record in the Western Conference. Denver is 1-3 ATS their last four on the road. UNDER bettors have cashed in 5 of Denver last six on the road. The Nuggets are 5-0 ATS their last six vs. Eastern Conference, opponents. UNDER bettors have made a profit 7 of the past eight between the teams. The (22-29) SU, (22-27-2) ATS Detroit Piston were taken down by the Los Angeles Clippers 111-101 as 2 point hone FAVORITES ATS Saturday night. The Pistons blew a 25 point lead which had fans as along with player scratching their heads. They were outscored were outscored 64-36 in the second half which is inexcusable, but the Piston can’t afford to put their heads down with Denver in town tonight. Detroit is 0-3-1 AGAINST THE SPREAD their last four overall. The Pistons are 2-4 ATS their last six at home. The UNDER is 4-0 the last four between the teams in Detroit. UNDER bettors have made a profit in 8 of Detroit last ten overall. Monday’s game is 7:05 PM EST at Little Caesars Arena in downtown Detroit, Michigan. The Local Television network will be broadcasting. The Betting Line has Detroit as 4 point home UNDERDOGS ATS. The TOTAL is 210 points for Monday’s contest. Denver head coach Mike Malone will coach team LeBron in the 2019 NBA All-Star contest in his fourth year on the bench. The Nuggets could be the most improved team this season after finishing in the basement of the Northwest division in 2017-18. Denver has been getting exceptional performances from an unlikely cast of characters this season. Reserves Monte Morris and Malik Beasley are doing an outstanding job when called upon, especially with ailments to Harris and Murray. Leading scorer Nikola Jokic (20.2) points per game are playing at a high level while Paul Millsap (12.0 ppg, and 65. rebounds) brings a sense to toughness his second season on the roster. Denver has the league’s best record playing in back to back situations which they proved with the win in Minnesota, and it’ll be the Nuggets third game in four nights when they face Detroit. Malone has made believers out of the fans around the Rocky Mountains and has also instilled a win at all costs effort within the Locker room. The Nuggets allow opponents (106.1) ppg which is sixth best in the NBA while the (111.9) they produce on offense is 15th league-wide. The team of Sports Handicappers at Charliessports has a 500* play on this game tonight as part of our Trifecta lock. The Detroit Pistons are two games out of the eight playoff position behind struggling Miami. Head coach Dwane Casey is looking for more consistency from his team as they demonstrated they need work after Saturday’s collapse. Point Guard Reggie Jackson is the lone bright spot averaging (20.0 ppg and 6.6 assists) the past five games. Leading scorer Blake Griffin (26.2 ppg, 8.2 RPG and 5.3 apg) is showing he’s capable of taking the team to the next level. Andre Drummond (16.6 points and 14.9 rebounds) can dominate in the post, but his free throw shooting is sometimes a problem when they have a lead. However, he’s too intimidating on the boards to take off the floor. 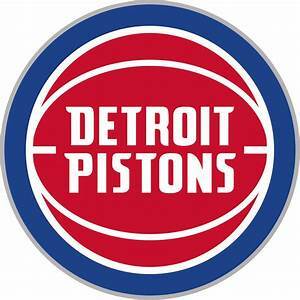 The Pistons offense averages (105.5) ppg but they can hit the boards and play tight defense. An indication of how bad things got Saturday against the Clippers is Lou Williams scored 16 straight points for the visiting team from Los Angeles. Casey knows his team has their work cut out tonight and will look for Griffin, Drummond, and Jackson to play with passion in what could be a season defying game for the Pistons. Reserve Center Henry Ellenson is questionable tonight with an ankle injury. The Detroit post players must take the matchup with Jokic and Millsap personal to come away with a win against a tired Denver team. Bovada.Lv list the Detroit Pistons win total at 38 games for 2018-19.